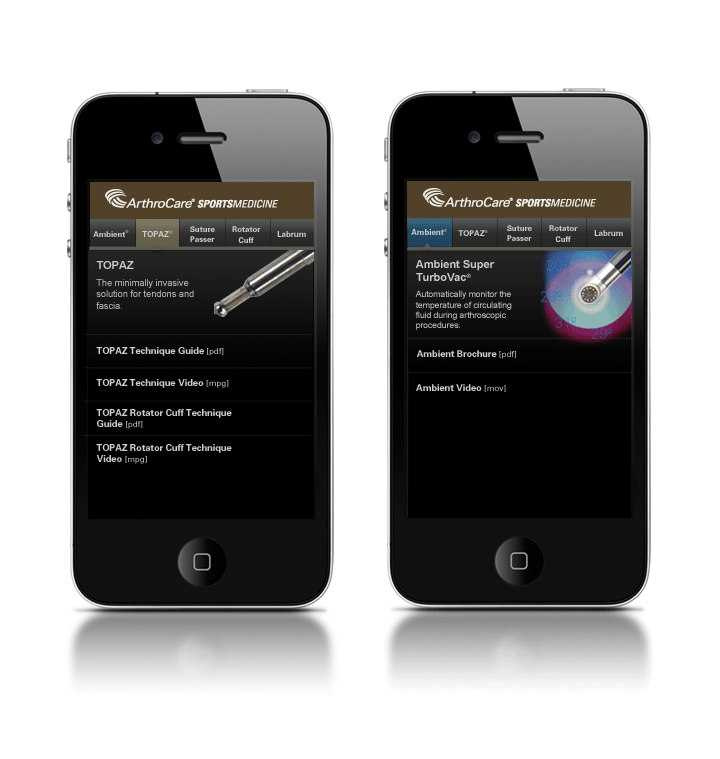 A mobile site designed to showcase a comprehensive portfolio of devices for arthroscopic shoulder repair. Each link highlights a different product or repair and provides access to viewable and e-mailable PDFs of supporting marketing materials and procedure videos for additional information. 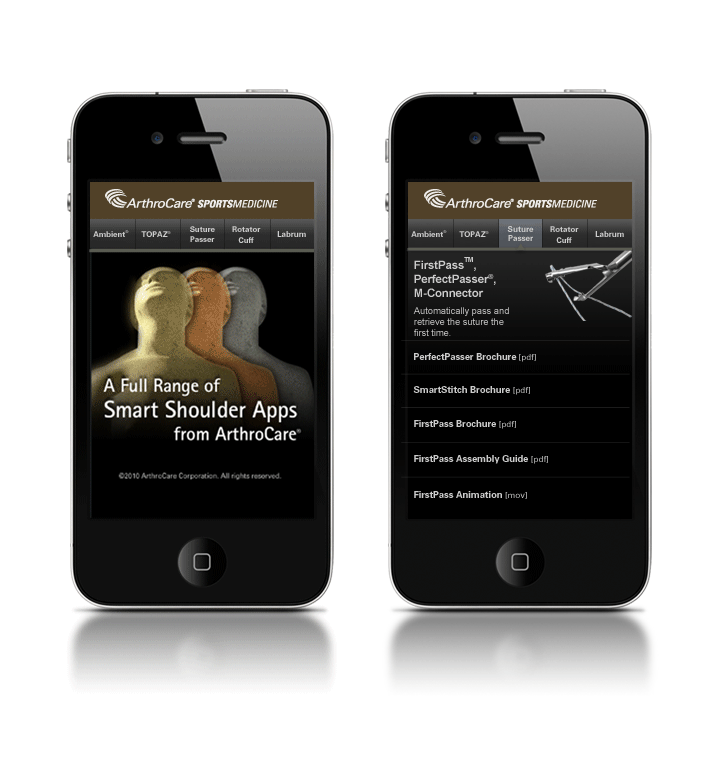 This site was part of an overall strategy to promote the idea of “going mobile” and having easy access to information through a mobile device.